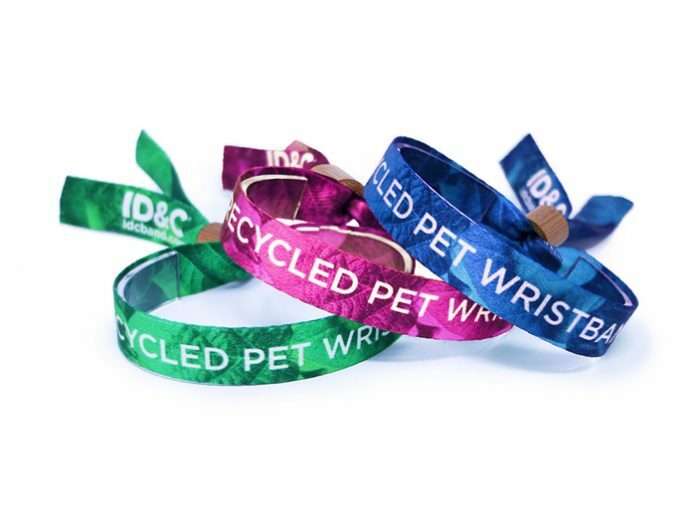 UK: ID&C, the UK-based provider of wristbands and lanyards, is now selling eco-friendly wristbands in response to an increasing demand from customers. Security remains paramount and the recycled wristbands cannot be removed once the lock is fastened to the wrist, unless cut off. Matt Wilkey, Company Director and co-owner at ID&C, said: “In recent years we have seen an increase in demand from our customers to provide them with more eco-friendly alternatives to our current range of wristbands and accreditation. Wilkey added: “For many years, we have been conscious of our environmental impact and have been continually exploring ways to become a more eco-friendly company. It is a tough challenge as our products have to be strong and secure, but we are always developing new ideas with the aim to provide a full range of alternative greener products. “The recycled range has been a big hit with a number of our customers so far. By avoiding single-use plastic and using a recycled alternative, our customers are demonstrating their commitment to the green initiative. Every little counts!